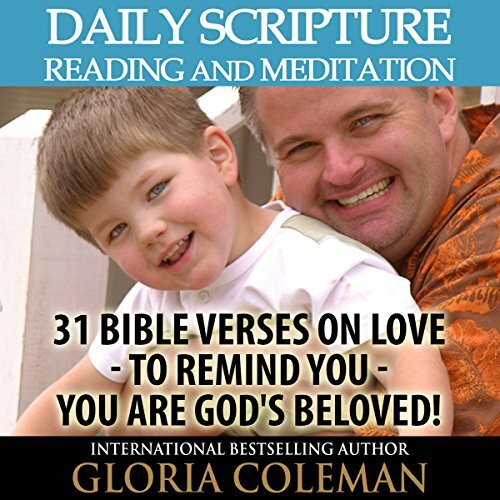 31 Bible Verses on Love - to Remind You - You Are God's Beloved! 31 Bible Verses About Faith - To Keep You Overcoming! 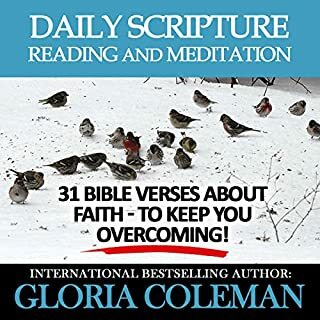 This essential Daily Scripture Reading and Meditation tool will help you to develop your trust and confidence in God starting with 31 key portions of Scripture featured in full text in four popular translations. It includes my personal testimony in the introduction, a note of encouragement, what is scripture meditation, and the benefits of scripture meditation. From Day 1 to Day 31, you have your Daily Scripture Readings in four translations, Thought for Today, and Prayer for each day! Very well done & excellent narration! 31 Healing Bible Verses - To Keep You Healthy, Healed & Whole! 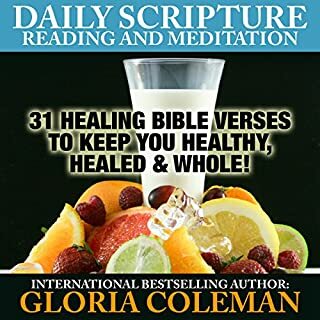 This essential daily scripture reading and meditation tool will help you to experience God's healing in your body if you are sick and enable you to continually walk in divine health - starting with 31 key portions of scripture featured in full text in four popular translations (The King James Version, The Message, The Amplified Bible, and The New American Standard Bible). 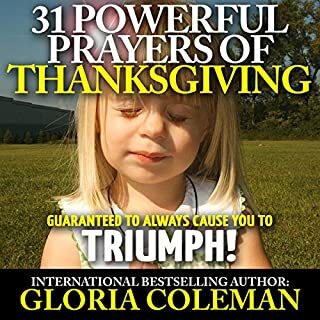 31 Powerful Prayers of Thanksgiving - Guaranteed to Always Cause You to Triumph! I was reminded of the Power of Thanksgiving in early 2010 by the Holy Spirit of God when I went through one of the most challenging seasons of my life. During that season it just seemed as if everything we touched turned to ashes. In early 2010, I heard God challenging me to harness the Power of Thanksgiving. He led me to write out every breakthrough, every answered prayer, and everything I could remember He had done for me. Guaranteed to Keep You Safe & Secure! If you live in our world today, you will know as well as I do the need for protection is the greatest it has ever been. Each day we are faced with atrocities that 20 years ago were unheard of. Who ever heard of a pilot killing himself and everyone who happened to be with him on the plane that day intentionally, not to mention terrorists, arson, hate crimes, earthquakes, pavement catching fire, manholes opening up, and the list goes on? Some of the most powerful scriptures are the healings and miracles Jesus performed that were recorded in the gospels of Matthew, Mark, Luke and John. This is an often untapped power for healing in the twenty first century. The scripture tells us in Hebrews 13:8: “Jesus Christ is the same yesterday and today and forever”. If He was willing to heal someone of sickness and disease yesterday, then He is surely willing to heal anyone of us today! Here is a scripture of a man asking if Jesus was willing to heal him. We can also ask Him. 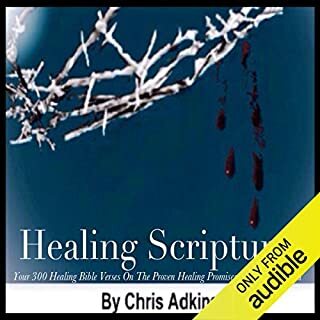 As the title implies, Forty Healing Scriptures, is 40 scripture passages related to the matter of healing, read by Prophet Steven Lambert and empowered by a discernible anointing. The particular scriptures read on the backdrop of beautiful instrumental music in this recording presents these healing scriptures in a highly appealing and anointed listening experience. To Speak over Your Life! This book provides 31 Daily Affirmations based on the Word of God you can speak over your life each day! They will help establish your confidence in God! They will help you see yourself as God sees you - His beloved and His righteousness! They will help you to know God for yourself so you can be strong and do exploits! They will enable you to experience and manifest the blessings of God - that make rich and add no sorrow! Receive a word of faith to help you overcome your toughest obstacles and develop a faith mindset. Faith in Jesus Christ and the power of prayer are foundations for spiritual success and living a victorious life. This book includes verses on faith, prayer, spiritual warfare, and how to live by faith. Scripture promises no weapon formed shall prosper. The key to living in this promise is walking by faith and developing a strong faith mindset. List of I AM Affirmations has been compiled for you to achieve your God given, optimal health and wealth; your passionate and fulfilling love and peace; absolute self confidence and success. By meditating and reciting these I AM affirmations you begin to tap into the unlimited power that lies within your Spirit person. The very life of God that animates us is in every single one of the trillions of cells within us. Every second of our lives this power is available to us. Guaranteed to Make You Whole! 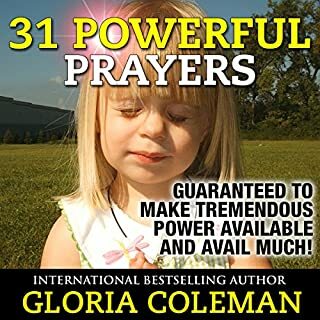 In this book are 31 Powerful Prayers for Healing that you can pray for yourself or others and see symptoms and sicknesses disappear from the root and healing and health manifest in their place! It will help you take hold of the divine health and healing - Jesus died to give us! Prayer changes me. When I pray consistently to God something changes within me. And it can change you too. However, sometimes it is easy to get caught up in the busyness of life and not take the time to pray. This audiobook can help you form a habit of coming to God every day in prayer. 21 Days to a new habit of prayer... They say it takes 21 days to form a new habit. And so I have shared 21 prayers of gratitude with you to help you form a habit of prayer in your life. The words we speak determine the way we live. Be a prayer warrior and break out of any behaviors that keep you from God's best for you. 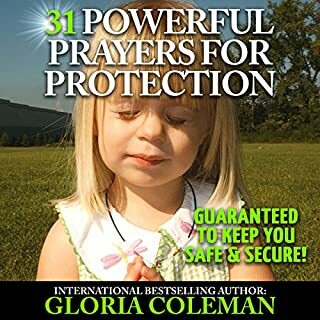 This audiobook contains 30 powerful and bold declarations meant to strengthen and ignite your faith, followed by prayers that take God's word from your thoughts to your heart. May God's love and blessings be upon you! We all tend to hold onto things that have happened in the past. It can feel like we are pulling a cart behind us with all are troubles and worries; it slows us down, and we can become tired, depressed, even jealous, as life seems so easy for others. All we need to do is let go of the cart, and we will feel lighter and free, but often we have held onto it so long that it has become part of us. Many of the people we know are also carrying carts, so it can seem normal. God has so many good things in store for you, and He wants to speak to you on a one-on-one basis...every day. As our relationship with God deepens, our desire to follow his guidance and be fully obedient to His plan becomes monumental. It's not uncommon to be concerned about making a mistake or doing something wrong - but divine guidance is God's will for his children. In this four-part teaching series you will learn the importance of developing the habit of setting aside regular time for fellowship with the Lord. Bitesize Inspirations of God's Love For You! #1 Amazon best seller in Christian Meditations (August 2013 & March 2014) This essential Daily Scripture Reading and Meditation tool will help you experience God's Unconditional Love for you starting with 31 Key portions of Scripture featured in full text in 4 popular translations (The King James Version, The Message, The Amplified Bible and The New American Standard Bible). It includes an introduction, a note of encouragement,what is scripture meditation and the benefits of scripture meditation. From Day 1 to Day 31 you have your Daily Scripture Reading On Love in 4 translations, Thought for Today and Prayer for each day! There is one set of Biblical Meditation Tips that have been included on each day's page for ease of reference. This audiobook has been written to provide the motivation,framework and confidence you need to begin practicing the reality of God's love for you using the Word of God! Scroll up and grab a copy today. What did you love best about Daily Scripture Reading and Meditation? Would you listen to another book narrated by Gayle Ambrielle Loflin? Cons -the repetition of overly simplistic instructions that are unnecessary is annoying. The narrator seems to be talking to a child-like audience. This undermines the story-the author's' faith - the tags, type of book are repeated each day- Other people wrote that she is pleasant. I think she over does it. Preferences!